United Barbell will be closed for regular classes on Saturday and Sunday this weekend, as we are hosting the BIRTHFIT Coaching Seminar. Classes will resume Monday morning to our normal schedule. If you are a member of United Barbell, you likely know that I have overseen all UB programming and have personally programmed the high majority of the regular class WODs for the last 7 years. Making sure you have an effective, fun, intentional program is a process I am passionate about and treat like my own child. However, as I prepare to have my own real baby, we have decided to experiment with some programming methodologies in my stead while I am out. For the next couple months we are playing with some tried and true programs put forth by some of CrossFit's great minds & athletes such as Ben Bergeron and Pat Barber. We are open to and welcome feedback during this time. Please note during this experiment, we will not be able to guarantee full week WOD previews. That said, WODs will continue to be in SugarWOD for social tracking. We appreciate your input and patience during this time and look forward to continuing to make UB the ultimate place to get your WOD on. Happy Holidays! In case you didn't see our holiday schedule linked above, check out our run-down of when your favorite gym is open during the silly season. 6:30am - 12pm: Open Gym in back room. Normal schedule resumes Tuesday, December 2nd. We interrupt our normal Food for Thought posts to make an exciting announcement! Starting this week, we will be housing MAT services for UB athletes on Fridays by partnering with Muscle Activation SF! 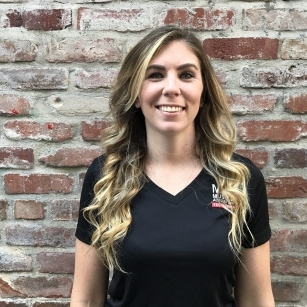 Read below to learn about MAT services and Julia, the practitioner you will be seeing at UB! Muscle Activation Techniques® (MAT) is a specific and unique process for evaluating an individual’s ability to produce efficient muscle contraction. In a nut shell, our goal is to make sure that every muscle can contract on demand when your body needs it to perform. Technically speaking, we utilize a static assessment, active range of motion screening, muscle testing and precise force application techniques to identify and activate the appropriate muscles. We consistently find that when muscles are "activated" that the body moves more freely and clients feel both stronger and more flexible. We also find that when the body moves better that subjective complaint like aches and pains often diminish fairly quickly. The client journey begins with a very detailed 90-minute assessment (some treatment) followed by 4-6 55-minute follow up sessions. Most clients feel significant progress has been made at this point and move to a maintenance schedule and some choose to continue working on these or other issues. We are very transparent and upfront, and meet you where you are. For more information, please email info@muscleactivationsf.com and we will be happy to answer any questions or book you for an appointment. Julia grew up in the countryside of North Carolina. Her dad was a coach and taught her the of love being an active individual. She’s participated in dance, gymnastics, volleyball, horseback riding, hiking, rock climbing, and skydiving. Eventually, she came to have a passion for Equestrian. Over a ten year span, Julia was able to train with some of the top international riders up to the Olympic level. Julia first experienced M.A.T. when she was having serious back pain from riding. She was treated and within two days her back pain was gone. The next few years were spent on educating herself and working with different types of athletes in order to learn how to train the body as a whole. Currently, Julia loves strength and functional training, water sports, and hiking with her dog. She has a commitment to education and hard work in order to help you achieve your best self. November 22nd (Wednesday): 6:30, 7:30, AM Open Gym, Noon, PM Open Gym and a 6PM class. No 5 or 7PM classes. This year we will be hosting our annual holiday party on Saturday, December 2nd at UB from 6-9PM. Casual potluck and holiday good times! Save the date - more info to come! This weekend is Labor Day! We hope you have fun plans for the long weekend and wanted to give you the UB class schedule so you can plan accordingly. 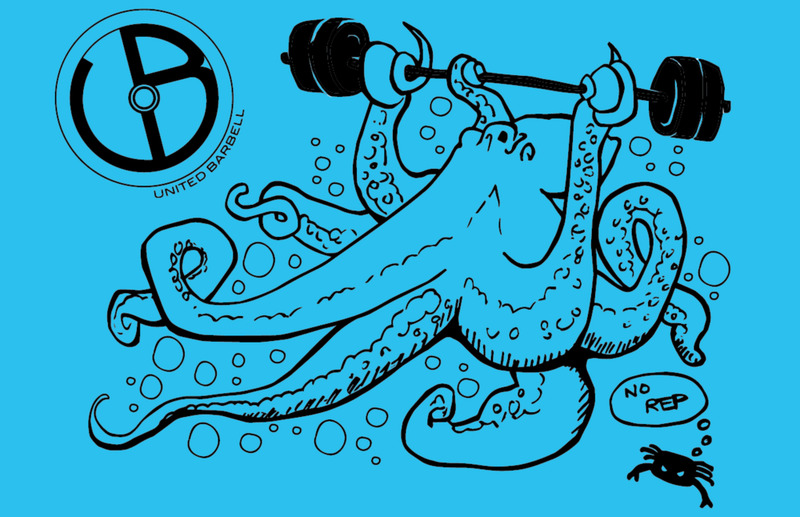 United Barbell: Now the Home of BIRTHFIT SF! Have you noticed the increase of strollers around during open gym? This is because, beginning this year, I have been chosen to be the BIRTHFIT affiliate for San Francisco! I am on a mission here to support the bay area mommas and mommas to be throughout the bay area! Being BIRTHFIT is a choice. It is about all education, empowerment, and self nourishment. Through four pillars: chiropractic, nutrition, mindset, and fitness, I plan to help women train for (or recovering from) one of the biggest athletic events a woman will face in her life. Want to see what it's all about? Check out BIRTHFIT SF's site! Know a new momma who could benefit from some mom-focused time being supported by other new moms? Pass along the info for our next Postpartum Series! What is the postpartum series? Your body has done an incredible job of growing a life for 9 months. You’ve given birth, taken time to rest and bond with your little one, and now you’re thinking about getting back into working out. Before you head out for that run, or start heavy lifting in CrossFit again come hang out with BIRTHFIT for an 8 class, 4 week series to re-establish your core and wake up your posterior chain. This series will encourage continued healing after birth and set up a solid foundation for getting back into your workout routine. The best part is, you’ll be with other moms who are going through the same thing as you. Non-mobile babies are welcome to join. Open Call for Work Exchange! 2017 UB T-Shirt Slogan Contest - Final Day to Enter! It's the last day to enter the UB shirt contest! Wrack your brain and submit your favorite slogans. As many as you want. You can submit slogans by filling out the form below, OR dropping them in the manila envelope taped to the white board at the front room coach station in the gym.